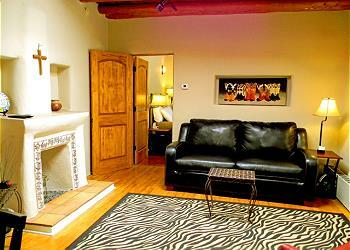 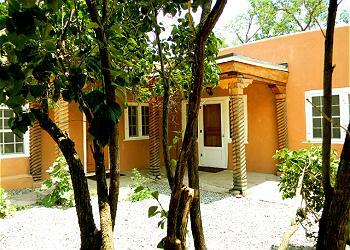 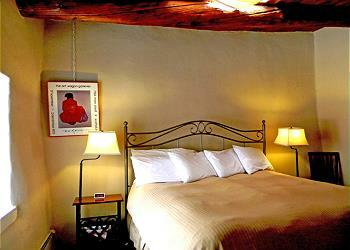 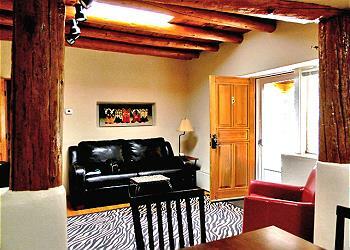 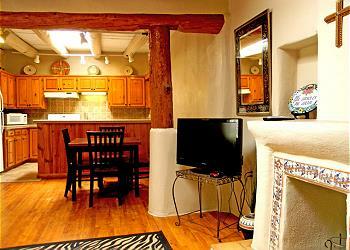 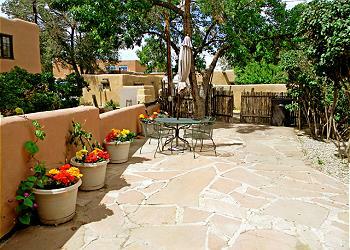 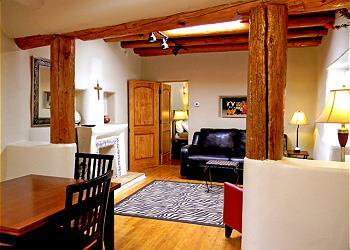 Historic Ledoux Street is considered the 'dream location' for living and vacation lodging in Taos, NM. 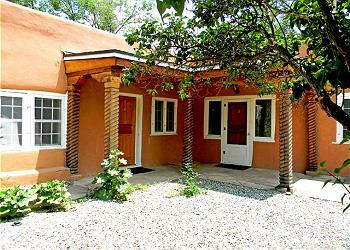 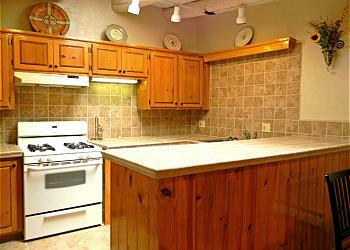 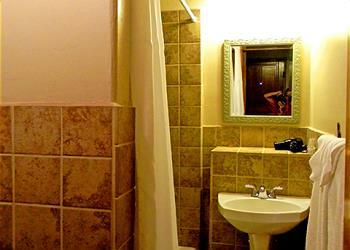 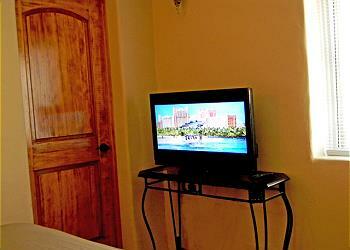 Artist Retreat which was once owned by the late world renowned artist / painter R.C. 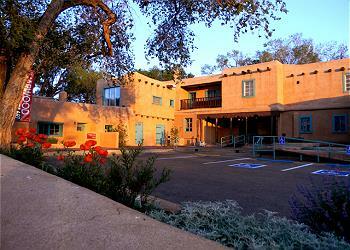 Gorman, makes lodging there ever more special. This popular sought after 'strolling street' is surrounded by artist's homes, studios / galleries and is an easy walk, from start to finish, being only one block long. 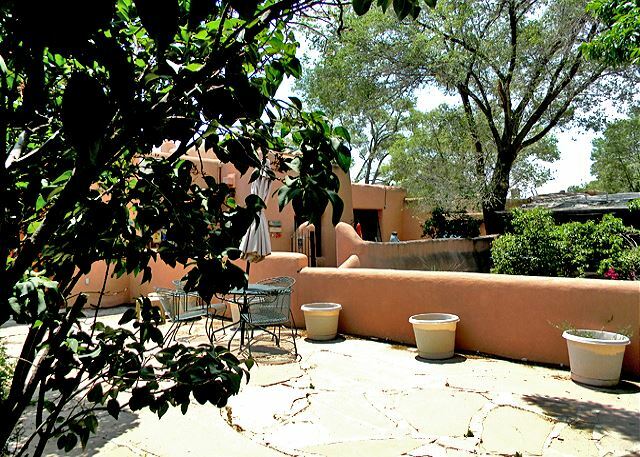 The fully enclosed front yard is lovely for Al Fresca dining, lounging, outdoor summer living and year round hot tub relaxing. 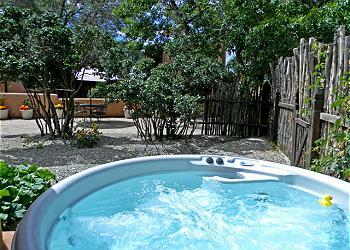 Buffered by tall coyote fencing (traditional Santa Fe / Taos style Aspen limb fencing) this lodging treasure assures guests privacy from slow moving cars on the popular one way, one lane Ledoux Street. 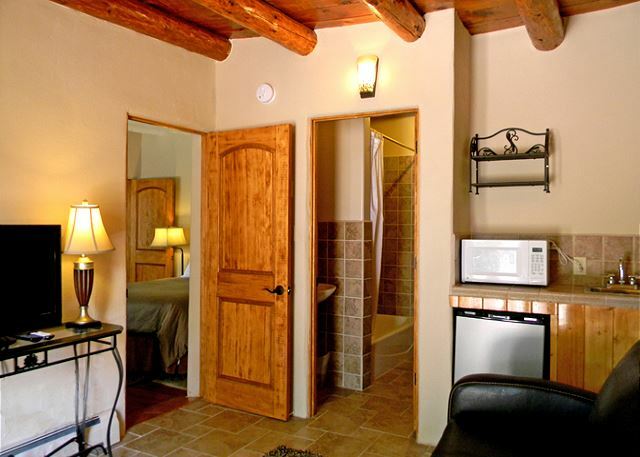 Furnished with upscale bedding, mattresses and furnishings, guests enjoy an interesting blend of traditional southwest and contemporary décor. 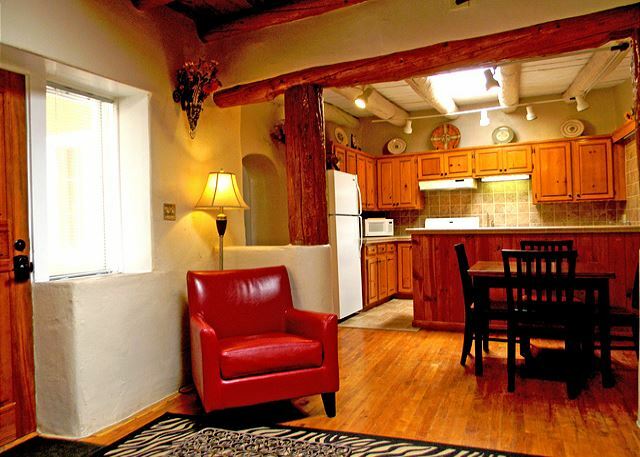 With a 2 minute walk, guests will find themselves on the Taos Village Plaza and famous Bent Street, both with shops and eateries. 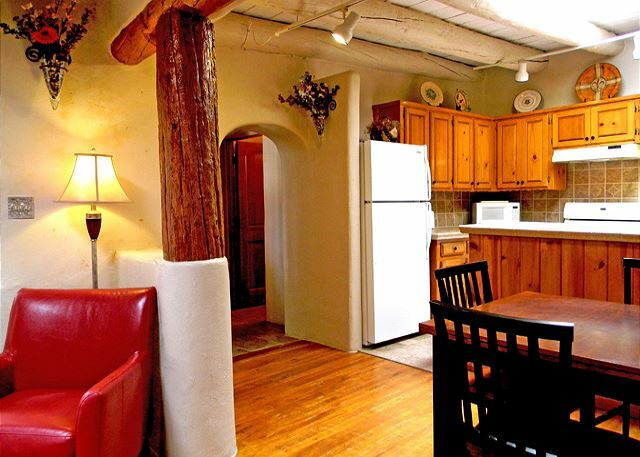 Right around the corner, hardly leaving Ledoux Street, are two very popular restaurants with locals and returning guests: The Byzantium and Stella's Italian Restaurant. 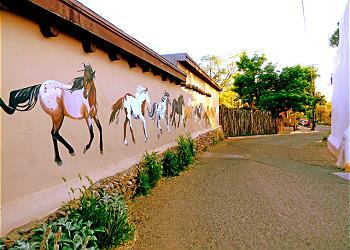 The famous Harwood Museum is an easy stroll to the west end of Ledoux street. In addition to housing a major collection of original art from the 7 founding members of the Taos Art Colony back in the 20's, the Harwood also offers classes, lectures and musical presentations of all varieties. 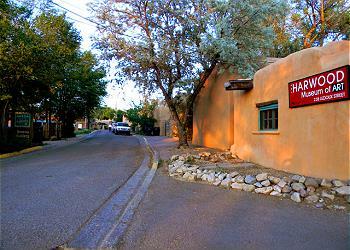 The remaining portion of Gorman's retreat remains a gallery featuring his work A kissing cousin, Inger Jirby Gallery, is directly across the narrow 1 lane, 1 way street. 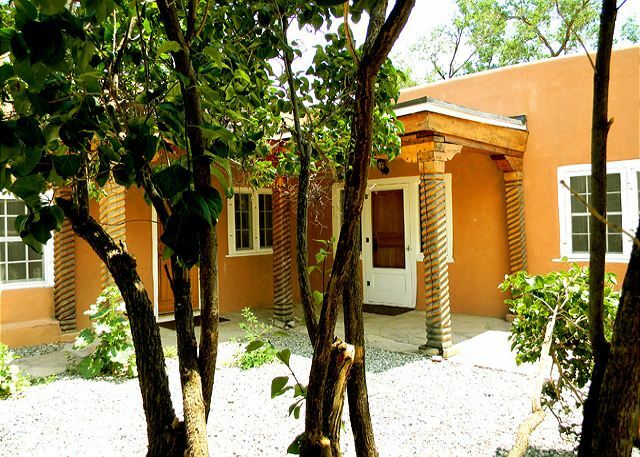 An authentic restored historic adobe, Artist's Retreat offers peaceful quiet Taos lodging within minutes of walking to the Taos plaza, the picturesque John Dunn Plaza shops and famous Bent Street with shops and eateries leading to the famous Taos Inn and Doc Martin's for evening entertainment or daytime front patio social gathering (a local's favorite). 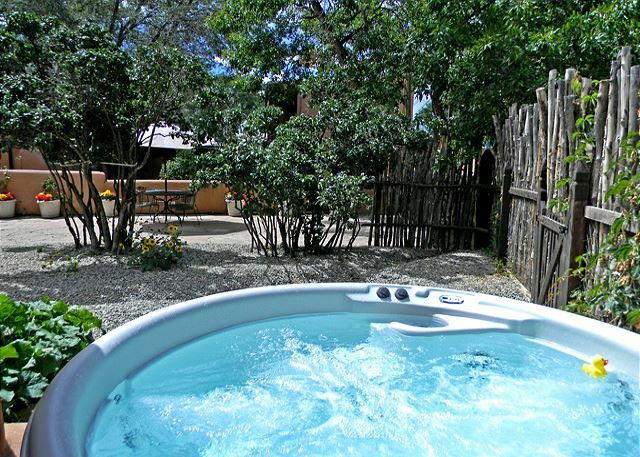 The lovely enclosed courtyard, laced with jumbo pots of flowers, is a true summer time treat and the newly installed enclosed private Hot Tub is available for year round pleasure. 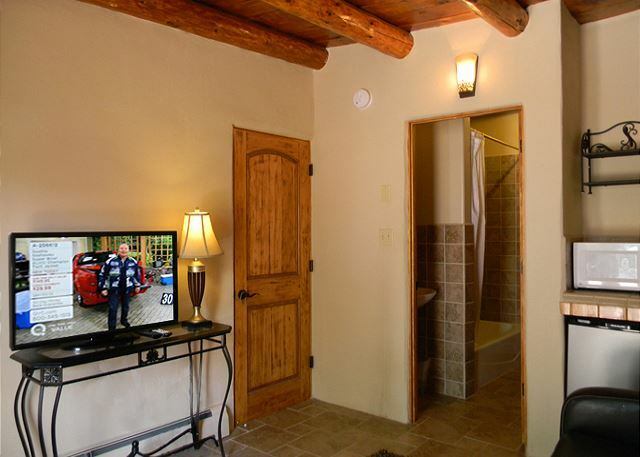 Guests choosing to lodge at Artist's Retreat enjoy the full fledged "Old Taos" living experience, incomparable to any other, but with modern day upgraded facilities on the most sought after street in village of Taos, New Mexico.